Dr. Louis Patrick Leroux is an associate professor in both the Department of English and Département d’études françaises at Concordia University in Montreal. He is a member of the Hexagram Institute for research/creation in media arts and an Artist-in-residence with Matralab. He is also the founder and animator of the Montreal-based international Working Group on Cirque/circus research. His research-creation focuses on multidisciplinary theatre production and playwriting. While teaching at Concordia, he has held artist residencies at Théâtre du Nouvel-Ontario, Collective Sigh, and Matralab. 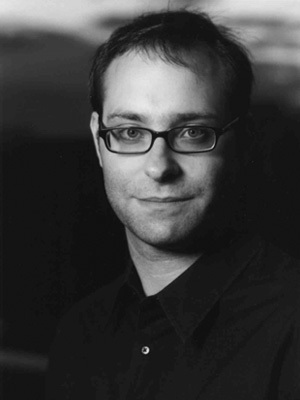 At Matralab, he developed Dialogues fantasques pour causeurs éperdus (2007-08), Se taire in collaboration with Théâtre du Trillium in Ottawa (2008-09), and a three-year (2009-12) Fonds de recherches scientifiques (FQRSC)-funded research-creation project, “Hypertext and Performance: A Resonant Response to Joanna Baillie’s Witchcraft,” a project he has undertaken in collaboration with faculty members from McGill University and Université de Montréal. He also holds a “nouveaux Chercheurs” FQRSC grant (2011-14) for research on the Cirque du Soleil’s presence in America with its growing number of permanent productions. Dr. Leroux supervises graduate students in English (literature and creative writing), French Studies (literature, research-creation, and literary translation), and occasional Special Individualized Studies students. He currently supervises students with research-creation, theatre and circus-related topics in the PhD in Humanities program.